Tired of Brooklyn's cookie-cutter condos? Here is the apartment you have been waiting for! 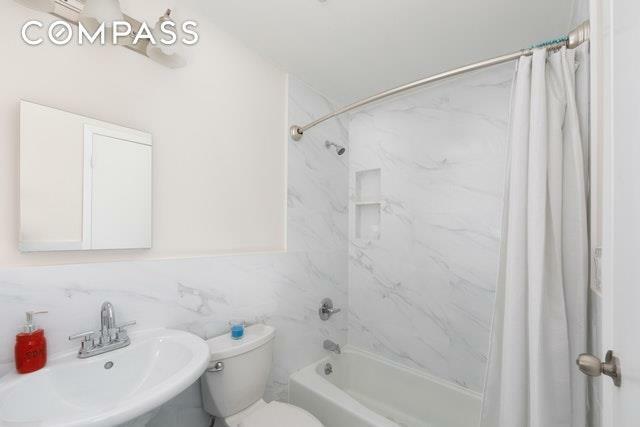 This sunny renovated one-bedroom condo graces a historic prewar building nestled in the heart of Williamsburg / Greenpoint.Lexington Council Condominium is ideally located, just steps away from beautiful McCarren Park and a five-minute walk from Greenpoint's waterfront park and vibrant Franklin Street. 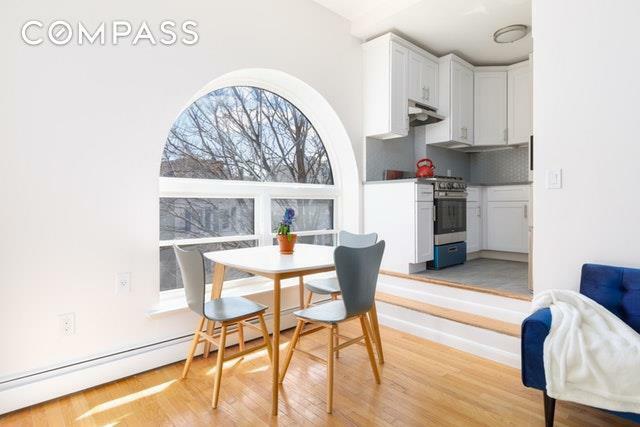 It is just two blocks from the G line subway, a short walk to the East River Ferry and the L train on Bedford Avenue, taking you to the heart of Manhattan in 10 minutes. 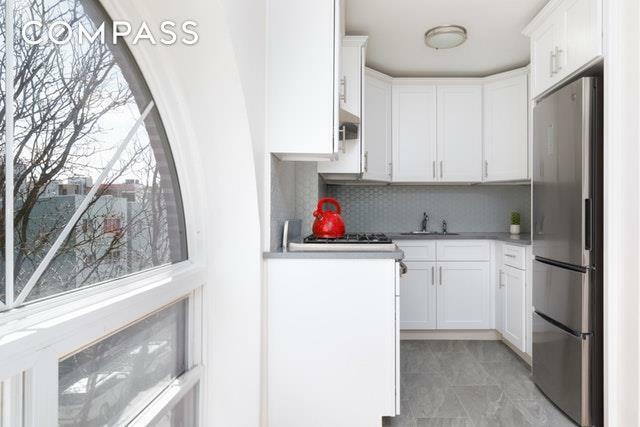 Unit 3E has been completely renovated to offer an elegant kitchen and bathroom, with oak hardwood floors throughout. The apartment features a spacious living area that can easily accommodate a dining table and/or home office, a large bedroom with excellent closet space and arched window. Built in 1922 as a community center, Lexington Council was converted in 1990 to a 14-unit condominium building with laundry on premises and a stunning green roof which provides residents with a quiet oasis in the heart of the city, including impressive East River and Manhattan views. Just outside your doorstep, Brooklyn's hottest neighborhood abounds with chic bars, restaurants and boutiques. Within a short walk you will find McCarren Pool, Transmitter Park, Bushwick Inlet East River Park and vibrant Bedford Avenue and Franklin Street. You will be at the center of everything the neighborhood has to offer, including the Peter Pan doughnut shop, Five Leaves cafe and Beacon's Closet. 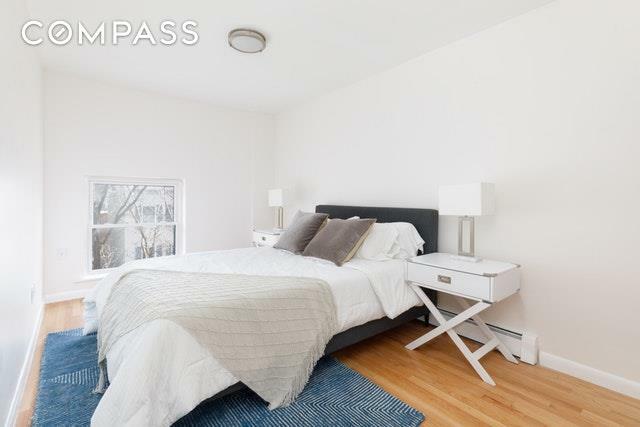 Contact us today to schedule a private visit to see this Brooklyn gem.